Do you ever struggle with social media? What about figuring out how to make new and deep friendships during busy seasons of life? Well, today I am sitting down with my friend Jamie Ivey, and we talk about it all! Jamie Ivey is a podcaster, writer, and speaker from Austin, Texas. She and her husband Aaron are parents to four kids, 3 of them teenagers, so they are also primarily uber drivers. Jamie loves to encourage women to love Jesus with all of their heart, soul, and mind. She does this through her popular podcast, The Happy Hour with Jamie Ivey, and her bestselling book If You Only Knew: My Unlikely, Unavoidable Story of Becoming Free. 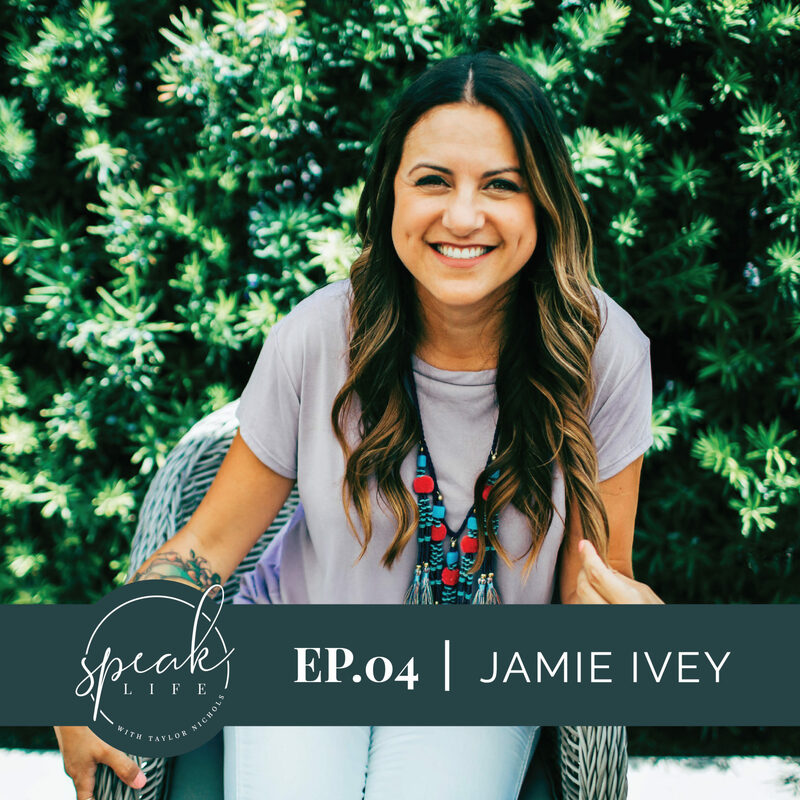 On today’s podcast Jamie and I share how our friendship grew from hilarious and random encounters to the supportive and encouraging relationship it is now. We open up about how difficult it can be to navigate new friendships in transitional seasons. Jamie has been an incredible emotional and physical support through holding me up and pushing me towards my dream of launching this podcast, squashing the lies that I was stepping into her “territory”. Chatting about the evolution of our friendship and the power of lifting each other up is a sweet reminder of the power of community. We spend a good portion of our interview hashing out the complexities of social media interaction and speak honestly about how easily comparison can slip in and steal our joy. I really love when Jamie says, “We have an obligation as viewers of other people’s lives to not assume something about them that we don’t know…I take responsibility of my own heart when I look at Instagram” It sounds so simple, but, I know this reminder is needed for us all. I’m thankful Jamie shares how she is learning to manage her social media platform and interaction with an intention. Something that was personally encouraging and helpful for me is Jamie’s personal perspective on her life as a working mom. Jamie says “I don’t believe that mothering is the highest calling to anyone in this life..” which has helped her find freedom in really seeking out how to balance the calling she feels as a woman and as a mother. I have had the honor of witnessing her walk this out as an INCREDIBLY supportive and loving mamma, who is driven and extremely capable at her job. She says “You can’t do everything at once… I do believe you can be a phenomenal mother and a phenomenal business woman…. I don’t think both of those happen at the exact same time.” For me, her words confirmed something I think I have been wrestling with during this new season in my life. Again, simple, but profound. I am not being an amazing mom when I’m writing this, but because I have accepted help and doing something I feel passionately called to do, I feel a freedom to accept that and thrive in this moment. However, in just a couple hours, I will be back to life as a mom and I won’t be doing my best work, because it won’t be my primary focus! Simple, and so true. I hope you walk away from today’s conversation with a stronger sense of what works best for you when it comes to social media interaction, an inspiration to deepen a new friendship and maybe start that hair extension company you’ve been dreaming about.. Yeah, we cover that too! Maybe you just need a gentle reminder that dating your spouse is important for your relationship to thrive, but whatever you take away, I hope you take away the reminder that you have value and your voice is needed in the world! Use the code BECONSCIOUS at checkout to receive 20% off your first order of $75, which also includes a free Conscious Goods Everything Oil.